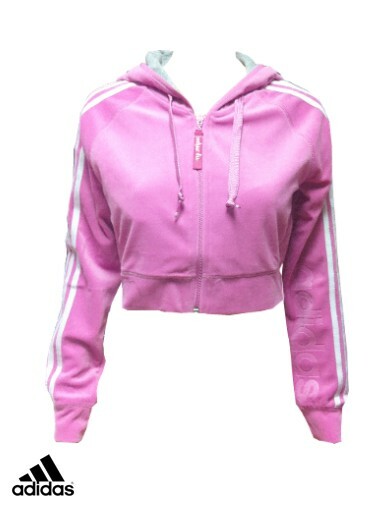 Description: A pink Adidas Full Zip hoodie with a crop top style. Ideal for wearing over a vest top. Features a three-stripe design on the sleeves and a large Adidas logo embossed on the left sleeve.